Home » What does solid tining a bowls green achieve? The greenkeeper is trying to follow his or her own “imagined” version of my Performance Greens Program and has distilled this down to just the “no topdressing” bit! The slightly skewed logic then dictates that they don’t remove any plugs (cores) from the green this year due to the fact that they won’t be topdressing and will therefore leave holes that won’t be filled in and of course won’t be healed for next season. So depending on the soil and turf conditions solid tining can be useful or not so useful. 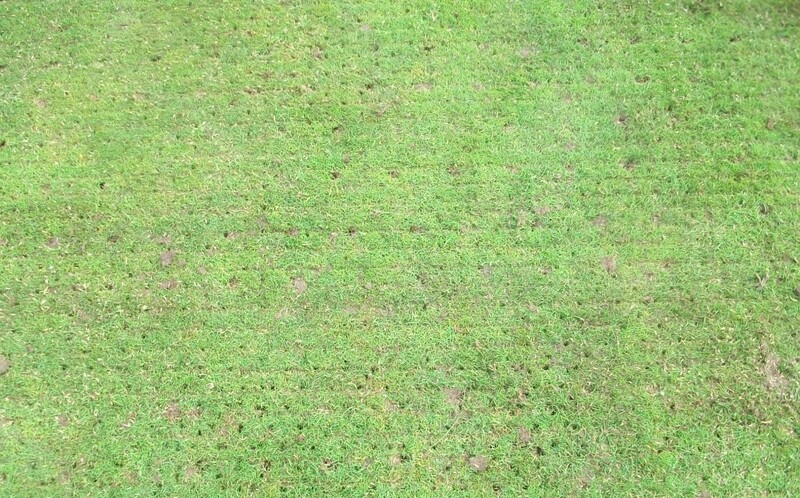 If the green is thatchy and wet, solid tining will at best achieve nothing but at worst actually cause things to deteriorate by compacting the surface even further by creating holes with smeared edges that don’t allow water through. On reasonably healthy greens where the underlying thatch is under control and the soil is reasonably friable, solid tining can create some good air space to allow soil microbes to thrive and to allow surface water roots and wetting agents down through the surface. It can also create a good seed bed for new seed if conditions are generally good. I also recommend solid tining for heads and LDP affected areas prior to wetting agent application in the summer although this is usually with smaller, pencil type tines. So overall it has its uses, but if it is merely being used to square the equation “what will we do if we aren’t top-dressing” then it is flawed logic. On a thatchy green, there is no reason why hollow tining shouldn’t be employed even although you won’t be filling the holes afterwards. An alternative program that actually makes a difference is discussed here. Where are you with member loyalty?